It's back! And not before time! Fr Ray Blake has announced a new, weekly, traditional Latin Mass is to be celebrated every Sunday at 9am at St Mary Magdalen Church. You heard it here first! Though it is possible you heard it here first. That The Bones You Have Crushed May Thrill: Among the first to bring you breaking news in the traditional Catholic world. 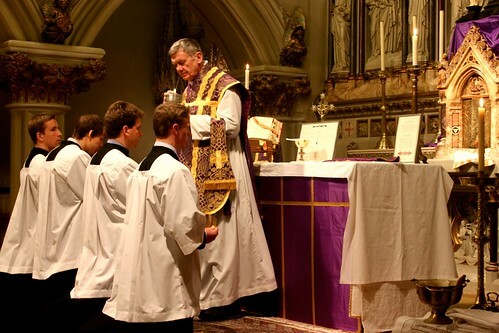 To document the liberation of the Traditional Latin Mass secured by His Holiness Pope Benedict XVI in 2007, I have penned a new song which will be appearing on this blog over the weekend. Splendid news! Well done Father! What a progressive he is. Is it sung/low? Low but he is hoping for singers to come. Sorry Bones, but actually I heard it HERE first... though how on earth Annie got to post the news before Fr. Blake beats me...!